The Nike Air Zoom Elite is a great shoe for the price. It is extremely comfortable and the styling is second to none. I will come right out and say it in the first paragraph. The Nike Air Zoom Elite is the most comfortable pair of shoes I have ever owned. This is compared to cleats, spikes, sneakers, loafers, sandals, boots, and slippers. 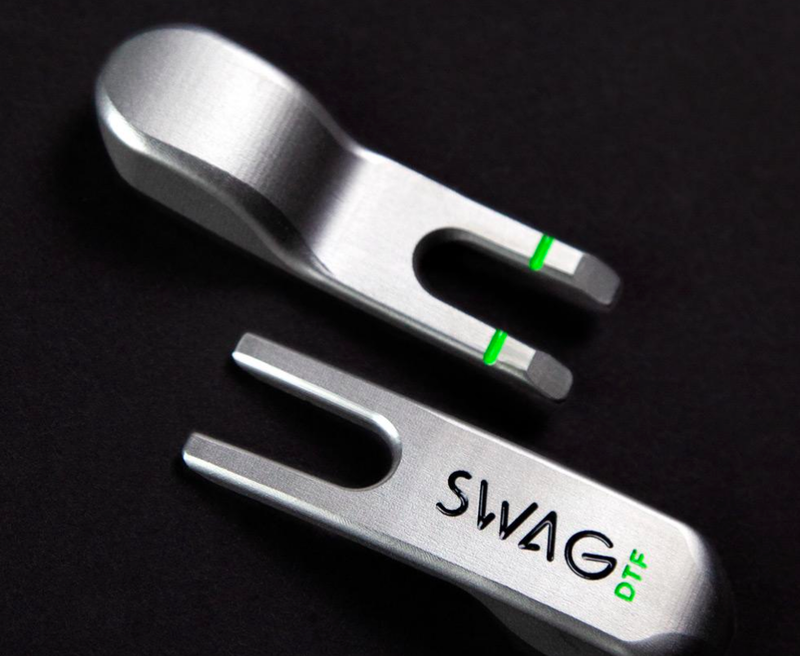 It just so happens that they also have a golf outsole designed to help me to transfer the maximum amount of power to my swing. Simply put, I think these are the most styling shoes I have seen for men’s golf shoes. The color scheme I chose is reminiscent of an old tuxedo shoe. My biggest gripe with men’s shoes is there are mostly two main styles: One solid color (black, white, or brown) and saddle shoes. I don’t know about any of you, but the only people I see wearing saddle shoes besides golfers are little girls and little boys that their mom dress up like little girls. The Air Zoom Elite come in solid white with silver accents, solid black, the black and white scheme shown, and a brown and white. 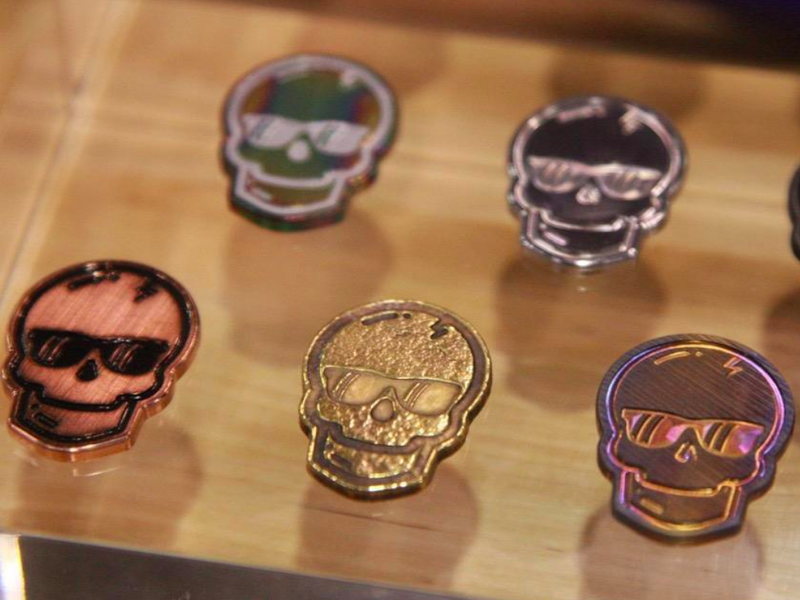 There are several limited editions that are on the way, but these are the main ones you will find in store right now. The Nike Air Zoom Elite brings together all of Nike’s technologies into one platform. The Power Platform provides for a stronger push through the ball with channels and the arrangement of cleats. There are a few channels that also run across the shoe to allow better flex of the outsole for a more natural gait. The heel of each shoe uses Nike’s caged Zoom Air for comfort. Using the latest in thin materials, the lower pressure air chamber cushions the foot like no other shoe I have ever worn. One of the problems that some systems face is that they can make it feel like there are lifts in your shoe. The Caged Air is thin and keeps your feet close to the ground. They come with a limited two year warranty and one year against defects. I actually can attest to Nike standing behind their warranty as I have utilized it myself. I had a pair on the SP-7.5 shoes and the air sole in the heel got a hole 8 months later. I took them to the local shop and they called Nike. Nike directed me to pick out any pair in the shop under the retail price for the SP7.5 (none left in my size). Hello Air Zoom Elite. It can be very hard to quantify the performance of one shoe over another. While wearing these shoes my feet never slipped. They even stayed in place for a ‘Godzilla’ swing (a combination of Bubba Watson, John Daly, and Cecil Fielder) They have a very aggressive outsole, and the Scorpion Stinger cleats can easily be changed. I think the most important part of a golf shoe is the comfort. With the mileage that I put in a pair each Summer, they have to be the most comfortable shoes I own. You can walk in excess of five miles during one round without taking a seat. The Air Zoom Elite didn’t require a break-in period; they were solid right out of the box. I have a pretty wide foot and my one complaint applied to all Nike shoes. For some reason, they think people want a squared off toe box. Every shoe Tiger wears has one, as well as most of the new line of shoes. It doesn’t pinch quite as much as the SP line, but they are a little snug at the toe. I always wear Nike shoes. 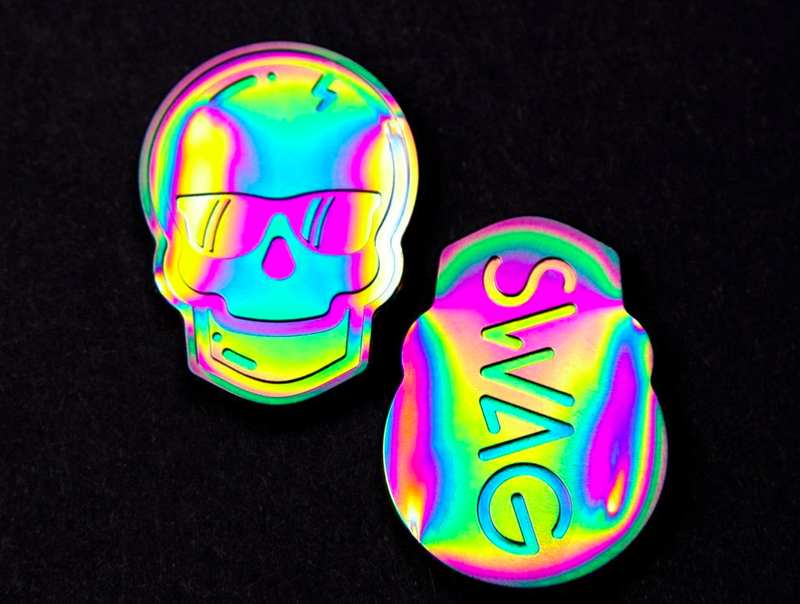 These look good. I think I’ll try them out. Thanks for the review! There are too many autospun articles packed with spam on the internet. minutes to actually unearth this site… it was the only one which had genuinely relevant info. I can’t believe what’s happening to google. I have one pair in every color! 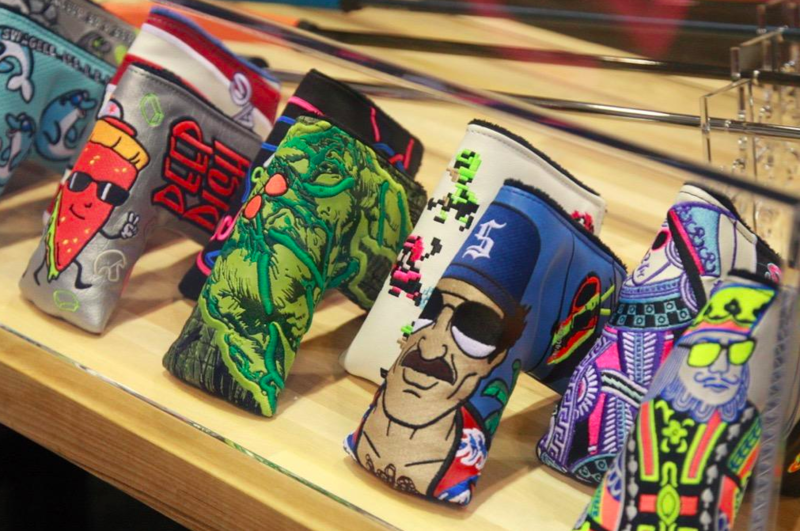 When it comes to loud, inventive, standout putter covers, Swag never disappoints. 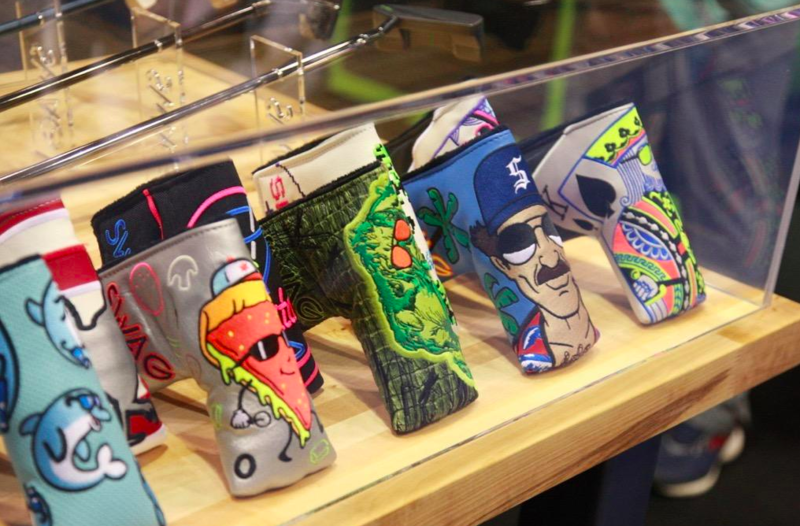 Their new series of covers are certainly out there, and the contrast of their range, attention to detail, and excellent all-around quality make these putter covers a must have — if you can get your hands on them. To start with, Swag’s Lincoln cover is a a real standout. The cover features a bright green background with President Lincoln looking the part in dark shades in the company’s own version of the $5 bill. The detail of the blade putter cover is excellent, with the bright green being the eye catcher and the unmistakable figure of Abraham Lincoln as the centerpiece. The company’s pink Flamingo cover is also a personal favorite, featuring bright colors and cool summer breeze feel. The great detail on the bird with its dark shades, vibrant colors and background of the palm trees make it an ideal cover as we head into the summer months. But it isn’t just the designs. The quality of the fabric and stitching lends for a durable and plush feeling cover too. 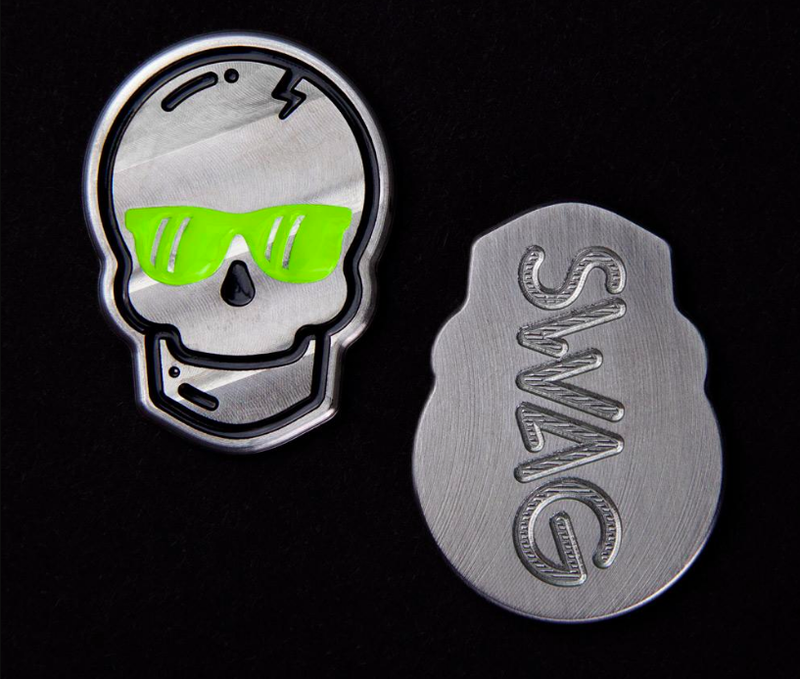 It’s worth noting that Swag enthusiast and team member Kevin Streelman is rocking one of the latest Swag putter covers. 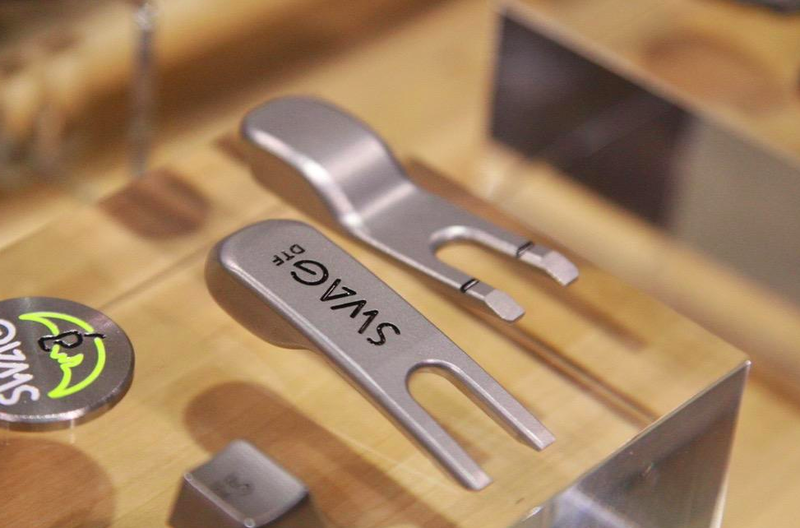 The American is currently gaming a Swag 2019 Handsome Too Tour with a double fly milled face, and the 40-year-old rocks the Chicago style deep-dish pizza cover to accompany the flat-stick. 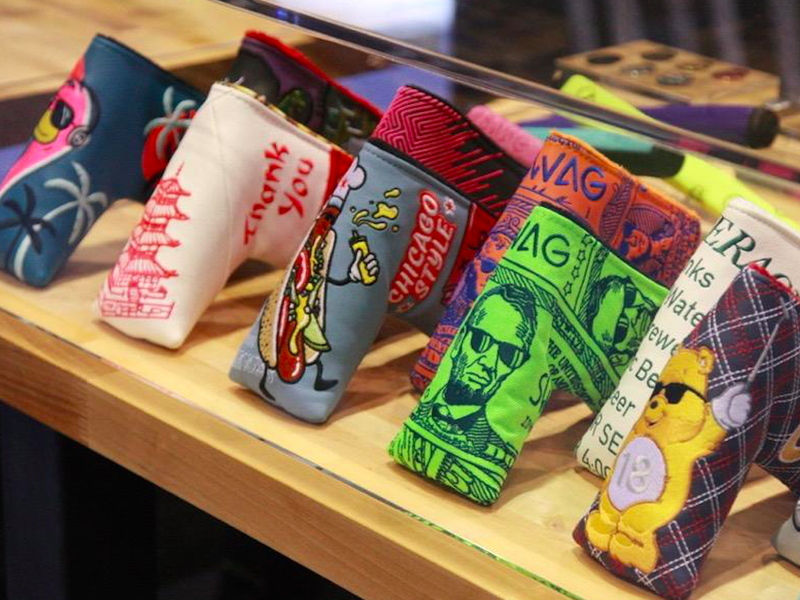 Swag is without a doubt a no BS company, and in their putter covers, they have certainly delivered in their aim to be bold and experimental. 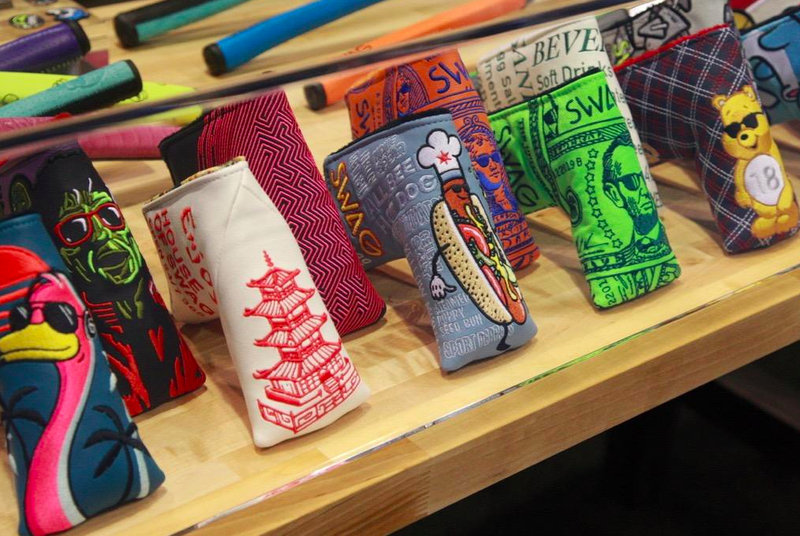 Perhaps the only disappointment is that all their limited edition putter covers are already sold out, which is an ode to how clever and engaging their designs are. The covers range in price from around $75-$125, and as the company continues to push the boundaries, here’s hoping for more releases in the near future. 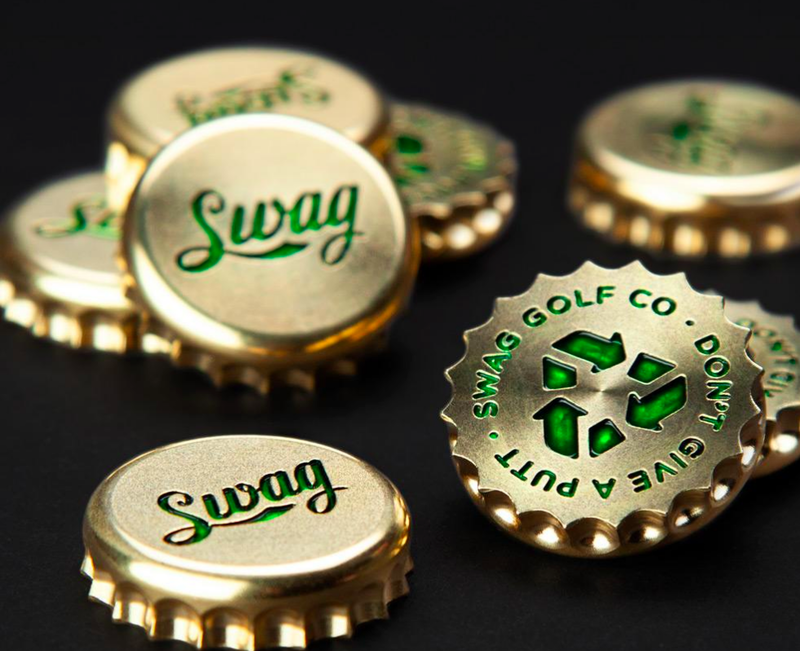 More photos of/discussion about Swag’s putter covers in the forums. For starters, one of the coolest features of the Garmin Approach Z80 is the 2D hole layout that appears on the left-hand side of the screen. 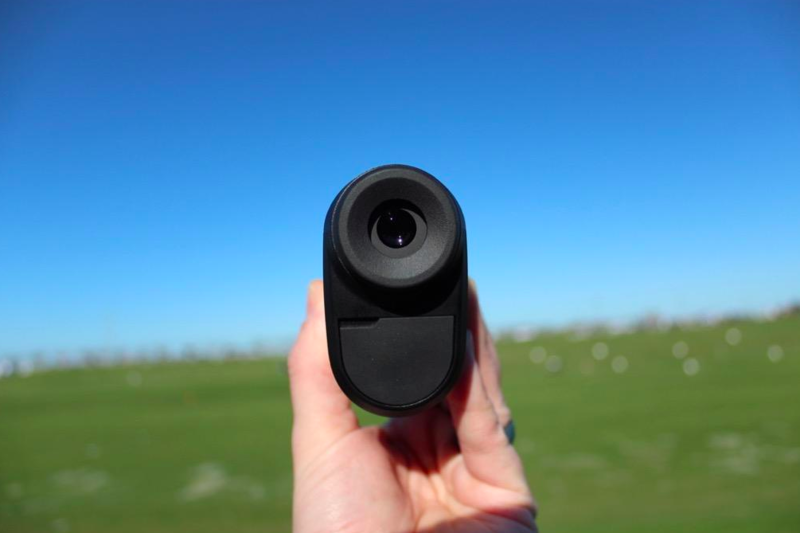 The image serves as a virtual map of the hole, and offers you a great view of what’s in store next should you either pull or push your shot, making it one of the best rangefinders on the market for use on your tee shots. 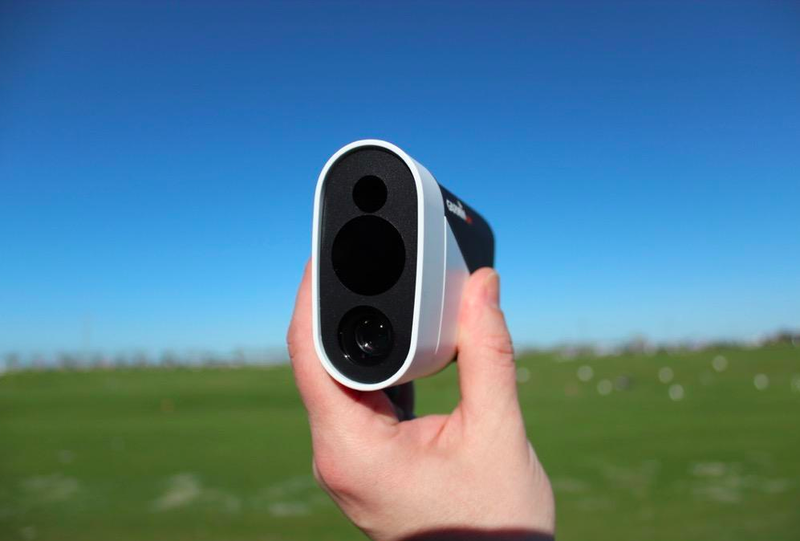 The rangefinder also allows you to enter your average driving distance, which will automatically suggest where your tee shot should land. For approach shots, this rangefinder gives you the distance to the front, back and flag which shows up at the bottom of the screen. 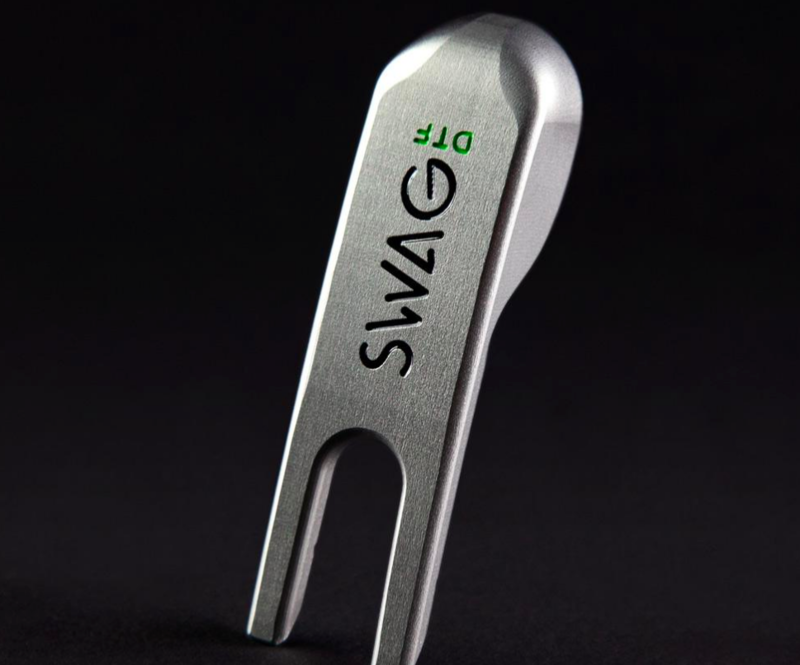 The Z80 can also provide distances to hazards and bunkers which is very useful for tight pin locations. When locking onto the flag, the rangefinder provides a yellow arc which once more presents you with a view of where you could end up if you hit your number but miss your target. The rangefinder goes into standby mode after it hasn’t been used for five seconds, a feature which is extremely good for battery life. Once fully charged the ApproachZ80 will easily last you from 3-4 rounds. However, the standby mode does cause it to take slightly more time to load up when using, but we’re only talking 10-20 seconds. The PinPointer feature which the Approach Z80 features is also very beneficial in that an arrow on the screen will direct you to the hole, whether you’re facing a blind shot, or are out of position. It’s worth noting that the PinPointer feature is also advantageous in that it gives you the yardage to the hole and not just a guide, despite you being unable to see the flag. 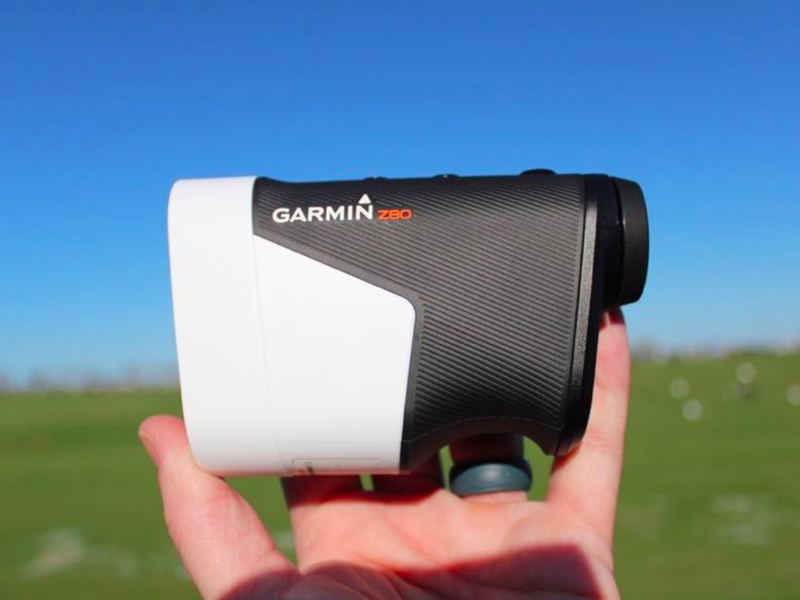 All in all, the Garmin Approach Z80 is a top rangefinder with an innovative 2D map of the hole which gives you a tremendous amount of power in that you can not just visualize the hole quickly but also possess a powerful tool for shots off the tee. The small size of the rangefinder is also a major plus, as is its light weight of just 8oz. At $600, it wouldn’t be considered an economical purchase, but in terms of the innovative technologies and benefits, it could still be considered value. More discussion about the Garmin Approach Z80 in the forums.